Fetim Group UK, the leading sanitary ware and home decoration company have launched “Listen to Your Shelf”® a wireless speaker in response to the shift in the home audio market from high-end, high-resolution sounds systems towards the discreet, uncomplicated and easy to use. With the development of wireless technology the Listen to Your Shelf ® provides an inexpensive sound system which is particularly suitable for bath and shower rooms, with an operating range of 10m, its waterproof, no unsightly wires or cables and it provides convenient space for your shampoo and shower gel! Marketing Manager, Sandra Hyde, emphasising the Company’s ambition to have a Fetim product in every home explained “We monitor market trends and listen to our customers. We are constantly developing and delivering new products to the markets we operate in. We are always looking to find ways to enhance the shower/bathing experience. 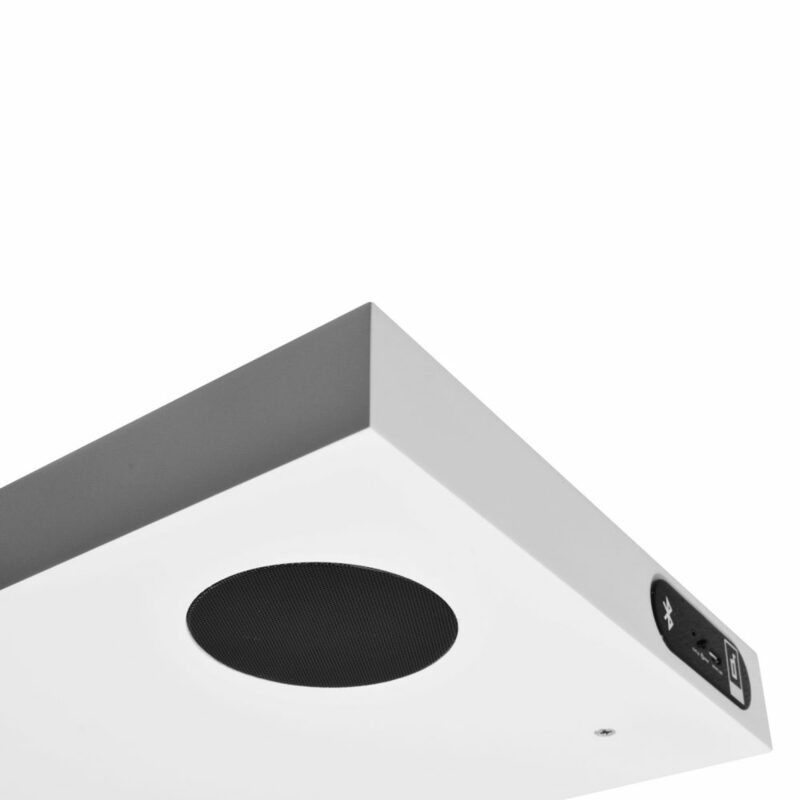 We recognised there is a growing demand from consumers for an alternative sound system presentation and believe the introduction of Listen to Your Shelf® is ideal for bathrooms and kitchens. Whether someone is listening to the news whilst preparing a meal, or wanting subtle chill out music when bathing it’s a great practical and affordable choice. This is just one of many new products we will be launching this year as we widen our portfolio”. With Listen to your Shelf® there is no need to connect it to existing systems, it plays off any Bluetooth device; but it’s not just for music, the speaker shelf enables you to enjoy a wide variety of audio options such as podcasts, audio books, radio programmes, and language apps. This versatility of this product, with its modern sleek design, and invisible mounting opens up endless options for speaker placement within the home. Whether you want to wake up to your favourite radio station, relax to your personal playlist, or just enhance your showering or cooking experience Listen to Your Shelf ® is an affordable stylish solution. For trade enquiries and further information please email [email protected].